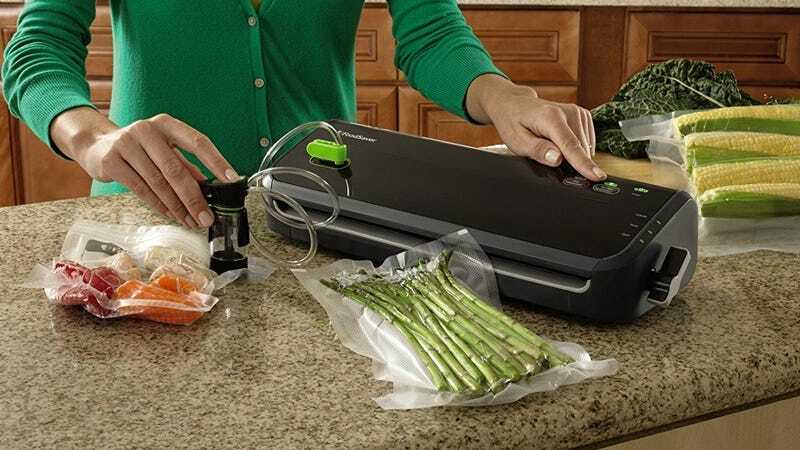 It sounds like an expensive proposition, but today only, Amazon’s selling the well-reviewed FoodSaver Starter Kit for just $47, complete with everything you need to get started. Of course you can use this to store meats in the freezer for a long time, but it can also keep cheese from molding, lettuce from wilting, or cookies from going stale, just to name a few examples. Think about how much food you throw away, and you’ll get a sense of just how quickly this purchase could pay for itself.